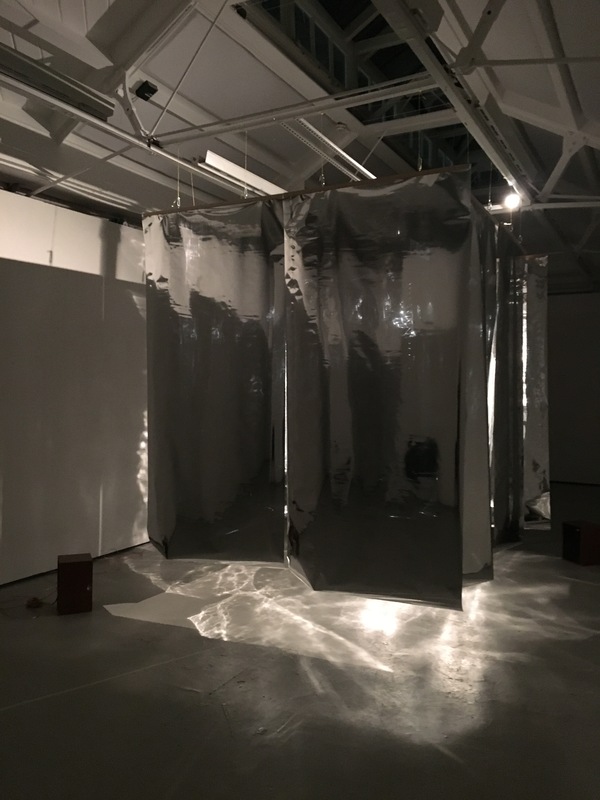 Jonathan uses space as a material through the motion and effects of sound, to investigate the spatial narrative created via the inhabitation of the viewer and the perception of sound. His Architectural vocabulary informs the way in which work can inhabit a place and the spatial parameters of its context; giving insight into the way in which boundaries and intersections of spatial territory could be manipulated then occupied. Through the investigation into the sonic potential properties of space and sound, the conditions of an affect-laden automated future are addressed through access to a dialogue positioned in giving agency to dismantling notions of a predefined future, where culture has lost the ability to grasp and articulate the present. His work is currently addressing the notion of how dematerialized event and performance space can be considered as site and context. Where work can exist in many forms such as text, sound, image, and space as a platform and an alternative space for generative knowledge production. This process of the investigation into performance and improvisation will problematize the speculative notion of self-identity and constructed future running through his artistic practice. He is currently questioning a dialogic discourse of generative modular sound.